We offer a software engine for simulating crowds in big infrastructures, events or computer games. Have you ever felt unsafe when you walked in a dense crowd, which appeared in a city or the Love Parade? Our company offers a software engine for simulating crowds in big infrastructures, events or computer games. Our ambition is to contribute to a safer and more pleasant world. Our core crowd simulation engine is a software library made in C++, with an API written in C. We have created C++ and C# wrappers for this API, to show that it can be integrated into many types of software. Both the internal code as well as the API interface have been extensively documented. 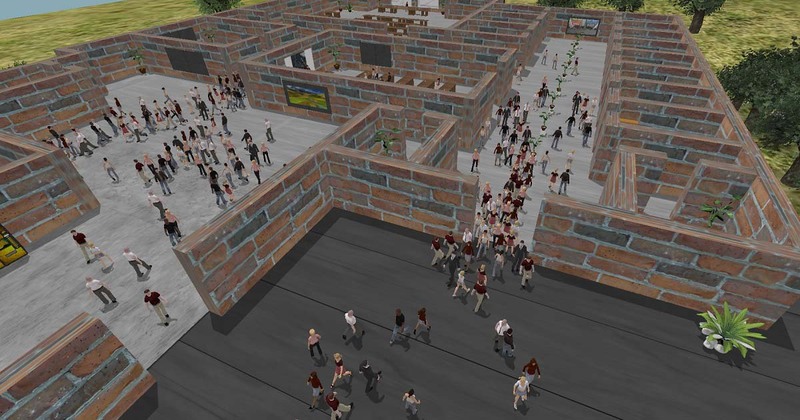 Our engine provides the basic functionalities required for simulating a crowd. It embodies two main functionalities: computing a representation of the walkable areas in an environment, and performing the actual simulation in this environment representation. Using the core engine and its API, we have created a Unity3D plugin for the popular Unity3D game engine that allows other developers to create serious or entertainment games/simulations involving crowds in the language C#. Many application areas benefit from the game technology that we provide: examples are interactivity, 3D virtual worlds, AR/VR, and high-quality graphics. The projects below have been carried out with this plugin. We made a high-quality product and our code is very clean, tested, and well documented. We love transparancy: all components of our engine have been described in (our) internationally published scientific papers. 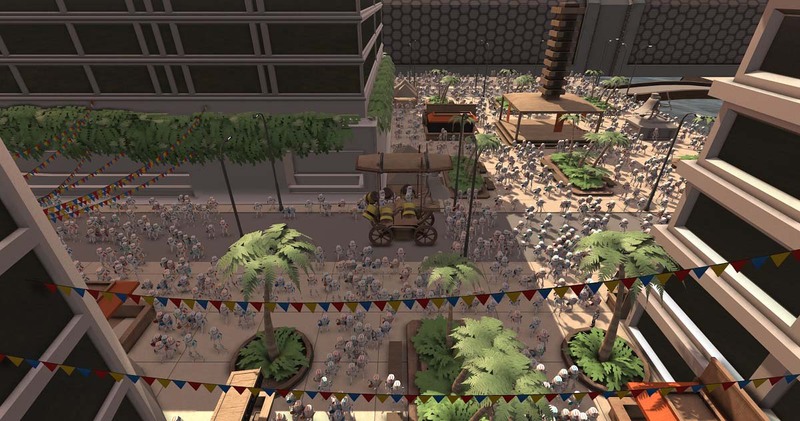 The crowd simulation engine supports 2D environments as well as large 3D multi-layered environments, such as train stations or complex buildings. Our software is unique because it represents the exact walkable spaces. The engine facilitates real-time simulation of 50.000 individually controlled agents (on a fast PC). Moreover, it supports more than 1 million agents on one PC (not in real-time). This allows quick development cycles, fast simulations, and shorter project times. The engine supports interactive changes in the environment and simulation scenario. Hence, modelling time is reduced. In addition, obstacles can be added, deleted, or moved, and the simulation is updated accordingly in real-time. The engine supports advanced behaviors, including social groups, realistic collision avoidance, flowing behaviours and route changes when it is getting crowded. Moreover, each individual agents can be controlled and own behaviours can be added. The engine is supported by Utrecht University by many staff members and students. Output from new research is continuously added to the engine. With this, we offer a healthy foundation of applications that facilitate high-quality, real-time crowds. We have carried out several projects, including crowd-flow optimizations, evacuation studies, and AR studies. Click on the images below for more information. The projects were carried out for the following clients. uCrowds is founded by Eric de Wilde (COO) and Roland Geraerts (CTO). Our team is supplemented by Yiran Zhao (software developer), an advisor, and many students from Utrecht University. 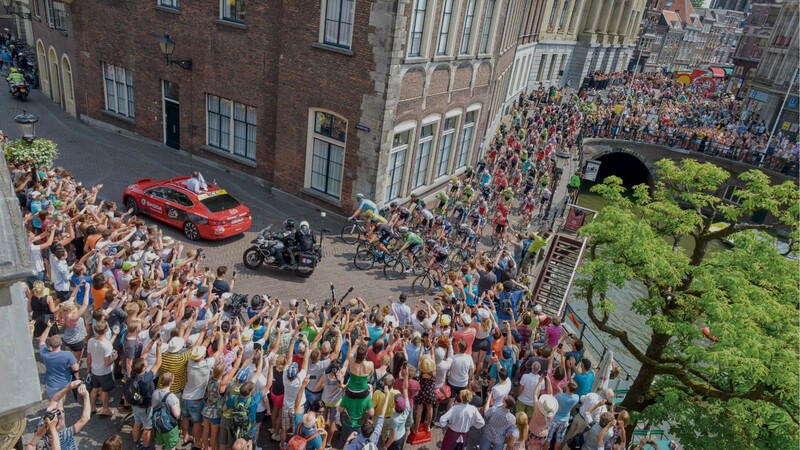 Our products and services are based on 11 years of research on crowd simulation at Utrecht University. The software creates an exact representation of the walkable space in a 3D environment, and applies a five-level framework to this representation to simulate a crowd. It includes advanced features such as social groups, dynamic re-planning when obstacles appear or disappear, density-based crowds, and flow-based movements in crowded situations. We can be found in office W125 at UtrechtInc, Utrecht's incubator, which is located at Padualaan 8, 3584 CH, Utrecht, the Netherlands. You can reach us by sending an e-mail to info@ucrowds.com.